One thing we hear all the time is how hard it is to get boys to “sit down and do schoolwork” and when I look back at the most effective learning we’ve done, it’s been when it was hands-on, hearts-on education. Such as when we toured Civil War sites in Virginia, Maryland and Pennsylvania on a family camping trip one year. A few months later, our boys participated in a History Fair. Our then-six-year-old had done a salt map of Bull Run/First Manassas. Afterward, an elderly gentleman came up with an attitude. It was very obvious from his inquisition-like manner that he thought there was no way that six year had done his own work. Caleb knocked him flat! He knew the battle from house to cornfield. He had stood there behind the Stonewall Jackson statue and yelled, like General Bee, “There stands Jackson like a Stonewall! Rally behind the Virginians!” He’d never forget it. Likewise, the children had heard Booker T. Washington describe the sacrificial love of his older brother in wearing his painfully prickly new shirt until it was softer in Up from Slavery before they visited the Booker T. Washington National Monument and they studied with great interest where it all happened. Hands-on, hearts-on history doesn’t just stay with them, it changes them. Especially boys. Boys love verbs. They love to do, to be. They draw verbs, they live history, they aim to be their heroes. 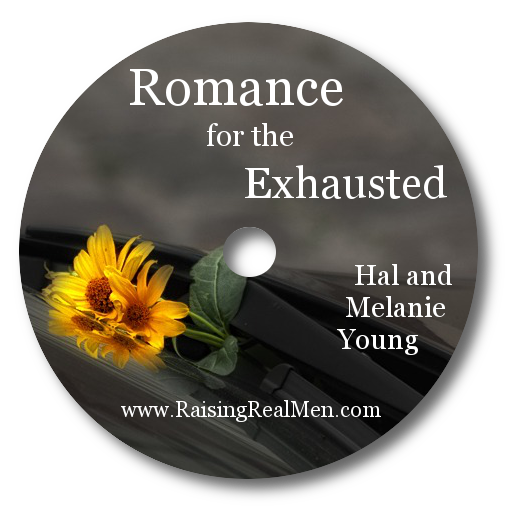 That’s the kind of thing we talk about in Raising Real Men – please read a sample chapter while you are here and we’d love for you to buy a copy! You know, so often, I intend to do hands-on things with our children – I know it really makes the learning not just fun, but memorable, but life intervenes and I never seem to have on hand the things I need. It’s frustrating! Hands and Hearts: Hands on Homeschooling that Touches the Heart has loads of resources that make teaching easy. They have books, kits, games and all sorts of things especially relevant to those teaching with a classical, Charlotte Mason or notebooking style. It’s the History Kits that really caught my eye, though. Wow. The activities were extremely well-balanced: fun and profitable, things boys will love and things girls will love. And lots of it. And complete – no “just pick up these 12 items” that so many “kits” have. Today’s freebie is 15% off anything at Hands and Hearts! What a deal! Just enter the code realmen in your shopping cart for 15% off your entire purchase until February 28th in this awesome store!! I’m going to ask you not to share this code around the net, but you are entirely welcome (encouraged) to post about it and direct them back here to get it! Jeff and Kate Estes, the owners of Hands and Hearts, are the real deal, that’s why it didn’t surprise me when they were so generous with us (wait til you hear about the contest!). When Katie, our baby, had wracked up thousands of dollars of medical bills and I was feeling frantic, Kate spent hours on the phone with me helping me to figure out how to manage. 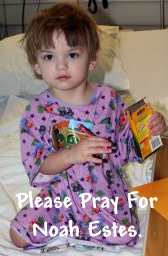 They have a lot of experience, because their incredibly cute 3yo, Noah has a fatal disease. I know, I know, I just posted a pic of him the other day, but I can’t resist – he is soooo cute. In the midst of that, Jeff lost his job, then the CPSIA regulation boondoggle nearly caused them to close down Hands and Hearts. They are on the verge of losing everything and here they are worried about our book release and giving us stuff to help celebrate. That’s the kind of folks they are. We have two awesome Hands and Hearts History Kits to give away – your choice! They are worth up to $60 each!!! Here’s what they say about them: Does hands-on history cause you heartache? How many times hav e you purchased a wonderful-looking history curriculum or activity guide, only to find yourself defeated by supplies that were expensive, hard-to-find, or just plain burdensome? Let Hands and Hearts History Discovery Kits do the hard work. Each kit combines interesting, significant hands-on art, language, math, science, and cultural projects with our exclusive Bible Truths Memory Cards and ready-to-use notebook pages. Best of all, absolutely everything you need to do the projects is right in the box! One winner will be chosen from among those that comment on this post. 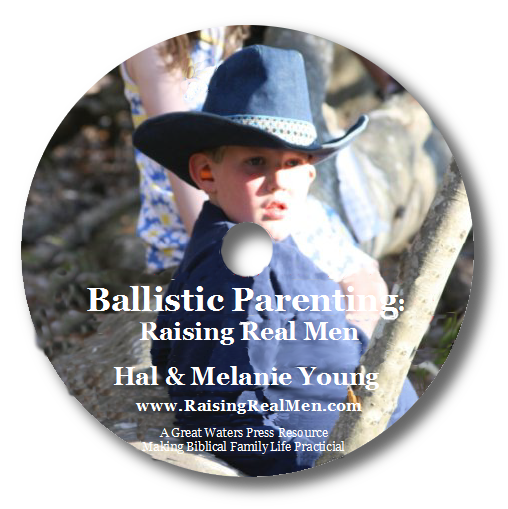 You get extra entries every time you post about the Celebration, Raising Real Men, or the Estes Homeschool Deal (I’m about to tell you about it!) on the web or on your social media. Just tell us about it (a link would be great!) in the comments. One winner will be chosen from among our newsletter subscribers. 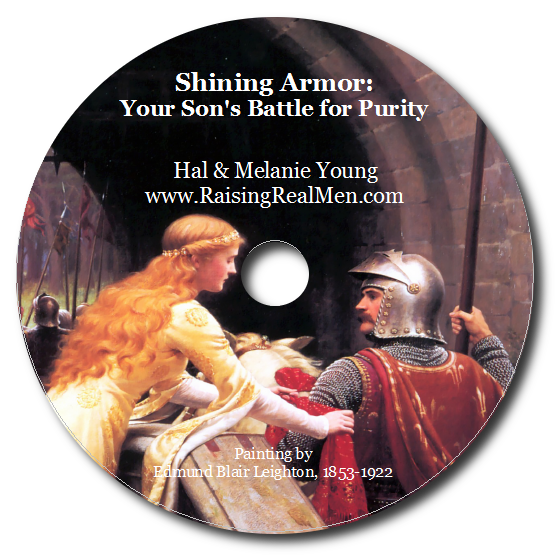 Sign up to get news, tips, and encouragement on raising godly boys in the toolbar on your right. And why not fan our Facebook page while you are at it? I think you’ll enjoy the conversation! These kits look like so much fun, my children were horribly disappointed to here they weren’t allowed to enter the contest 🙂 We’ll choose a winner Tuesday morning! What’s this about the Estes’ great homeschool deal? This is how well-regarded Jeff & Kate Estes are: When we all heard what a difficult time they were having, the Christian publishing community rallied round them and gave them tons of valuable homeschool and family products to help them raise money. 100% of the money raised goes to take care of this precious family, not one cent goes to any of the publishers! That means that if you jump up and “bear one another’s burdens” that you will receive over $339 of products for just $39. That’s like multiplying your money by a factor of nearly 10 times. Plus, all donors will be entered in a contest to win one of five prize packages. Two of them are worth over $849: real, not virtual merchandise from some of the most popular publishers in the homeschool market – including us! Wow! It’s not often you can do something to give to someone else and bless yourself so much, too. Won’t you step up and help? I’d appreciate it! Just click here to see for yourself. The celebration of your book release is very exciting! I looked at the products Hands and Hearts offers – they provide the perfect opportunity for boys to interact with and get excited about learning. After preordering your book, I can't wait to get it! I am a long time reader of the estes blog but haven't ordered from their store before — i'm off to read up about their history kits. Looks like a lot of amazing products for a relatively small investment…plus we'll be helping this family. Thanks for sharing!!! This is just so awesome. I love how homeschoolers help each other out! We are truly one awesome extended family. May God Bless both of your families! I also shared this on my blog and will share it on facebook. Wow! 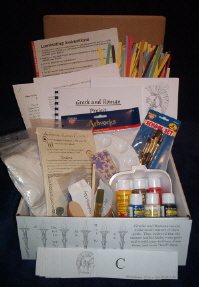 I have looked at those history kits but have never ordered one ~ it's good to know that your family has enjoyed them. Great giveaway! I will keep the kit in mind even if I don't win for my son (he's 2). Hands & Hearts is a wonderful business, and Kate takes the time to answer any question thoroughly! I highly reccomend their products! My son LOVES history and I must check out the Greeks/Romans kit I saw pictured! The history kits look amazing! I am going to have to check out their store! I've been really interested in the Hands and Hearts history kits….just can't afford them yet. I have read your book, and it is wonderful. Thanks for your effort and encouragement. Praying for you! Just dropping by to check on the celebration, and wow – what a great prize! Please count us in, it's always a bit tricky rounding up all the supplies you need for hands-on with so many little ones around ;). Awesome giveaway! It so exciting to find such amazing resources for hands-on learning. My boys are still young (4 and 2) but we are starting our homeschooling with preschool activities. Thanks for your website! It is always so encouraging. I agree about having the history curriculum but often not the supplies and so I end up skiping that activity for lack of time. I didn't realize there were discovery kits. I'll have to check them out. I love the Estes' kits! They are great! I am hoping to get their gold panning kit soon too! How exciting! As soon as I have enough money, I plan to buy your book! I'm sure my boys will thank you! I just discovered your site. My son is 4 years old and already I am realizing how different he is going to be from his sisters. I'm glad there are others out there thinking about educating boys! Oh please do include us! Thank you so much. I also posted about the book on my blog with a link.